It is all about the texture. It is the texture in an object or scene that entices me. Creating a piece of art gives me the opportunity to spend more time with it, really getting to know the details. One beautiful afternoon in the fall, after a day of painting with our Artists Workshop group I walked downtown and the light shining under the Broadway bridge was one of those moments to be thankful for. My watercolour batik process is ideal for creating the illusion of texture and I am always excited to find new ways of expressing what I see. I work with wax and watercolour on paper building up layers as I go. I can only work from light to dark so the wax is used to preserve the colour that currently exists and more paint is applied to make it darker. This layering process culminates in the darkest colours being added. At that point I use layers of newspaper to iron the wax off the piece and I can finally see the finished piece. Seasons change and so do we…..
We have gathered back together at Grace Westminster Auditorium to begin our 26th year. Last April, we celebrated our 25th anniversary at our annual show. 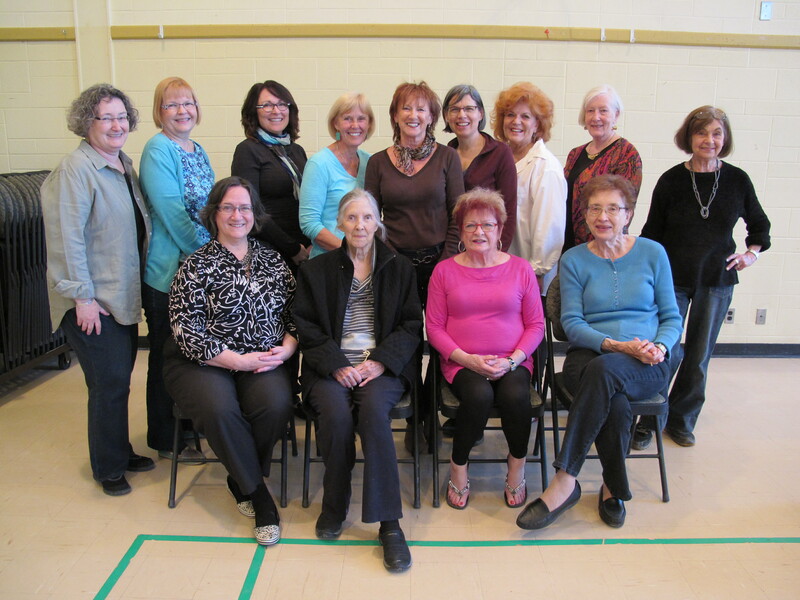 Here are a couple of photos of the group taken then. This was taken with all of us, except Eva, who wasn’t able to be there, a few days before our show. Just before our show opening, all dressed up. After the show, we all headed off to our summer break. 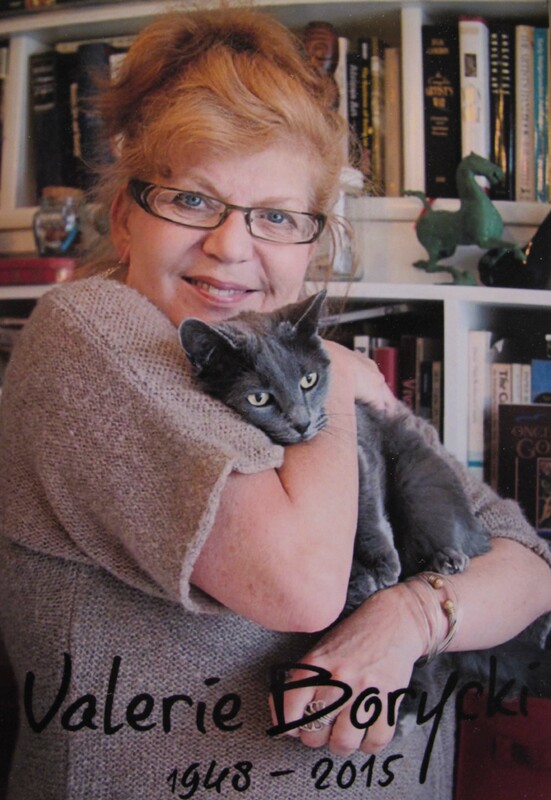 On May 30, our dear Lou passed away. One of Saskatoon’s best known artists, Lou was one of the original group members and was happily part of our anniversary show. Even though over the years she had faced a number of health challenges, she faced them with her usual grace, gentleness and humour. She was a loving and generous pal. Colours bursting, from both brush and knife. To deliver her own va-va-voom. And all cares of the world are shed. Not a good-bye word to be said. Who sparkled right to the end! With all of the love that we send. So farewell dear Valerie – we will all miss you very much. Your gal pals at Artists’ Workshop. We will miss both of these talented, generous bright spirits so much. And we have had one more of our group decide to move to new ventures, after 25 years with the group. Karen Maguire is joining the Studio on 20th. We will miss Karen’s great style, humour and enthusiasm and wish her the best in her new studio. We reflect back on our lovely friends, and now look forward to the year of art to come. We welcome two new members at this time, Bobbi Clackson-Walker and Paige Mortensen. Bobbi is an exciting mixed media artist, and Paige is expanding our horizons with her unique watercolour batik work. We have some new plans for the fall, and we will keep you posted with some news very shortly. This includes a new Facebook page, and a special November pre-Christmas sale at a gallery location in Saskatoon. Check back soon for details. 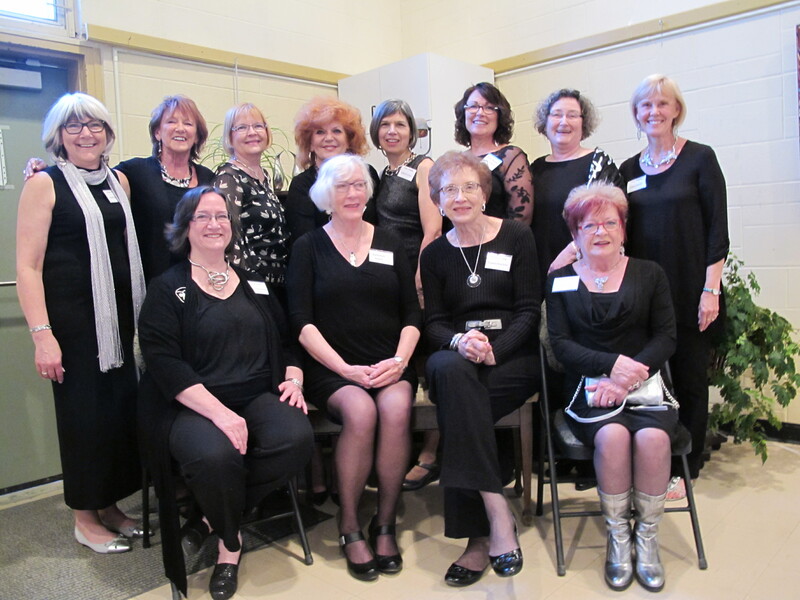 Thank you and on to the next event – Art Trek 2014! Thank you to everyone who came out to our show on the first nice weekend of spring. We had a great turnout, good music, good food, and, even if we do say so ourselves, a very good show. Thanks to our musicians who provided us with such a good atmosphere. And thanks to everyone in the group who did their part to make the show such a great success. Now, after a break, we will be getting ready for Art Trek 2014! This year there will be 9 groups participating in Saskatoon’s one and only studio discovery tour. 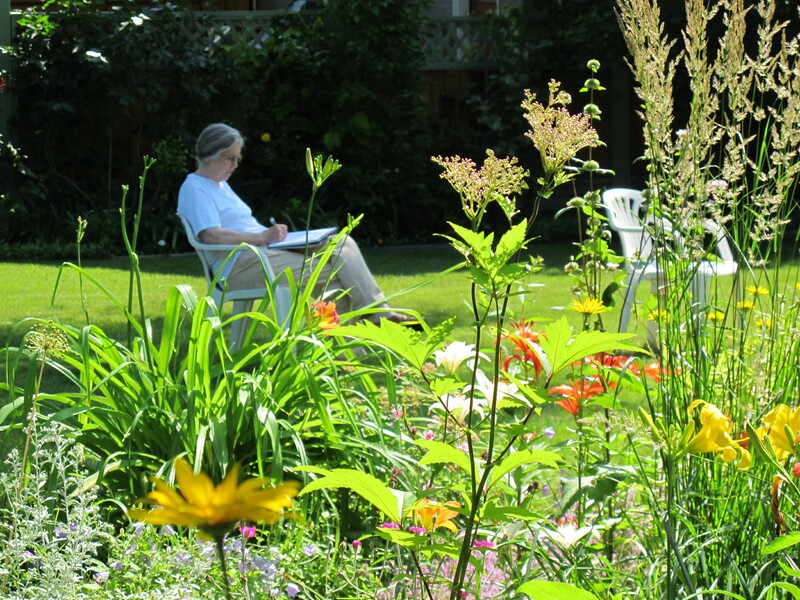 Art Trek takes place Friday, June 13 from 5 – 10 pm, and Saturday, June 14 from 10 am to 5 pm. We will be in our usual studio/show place, the auditorium at Grace Westminster. To find out where all the locations are, and to see photos of various activities and arts, check out and like our Facebook page. On the Grid show – a must see! Kathryn Green, along with three other artists has a beautiful show at the Frances Morrison Library Gallery. Last night was the opening and it was great. A unique show, integrating these four artists. On until December 27. Gail Prpick – Gail’s Art Show and Sale, one night only – This FRIDAY! Doors open at 5:30 pm, 112 Washington Ave, Davidson. 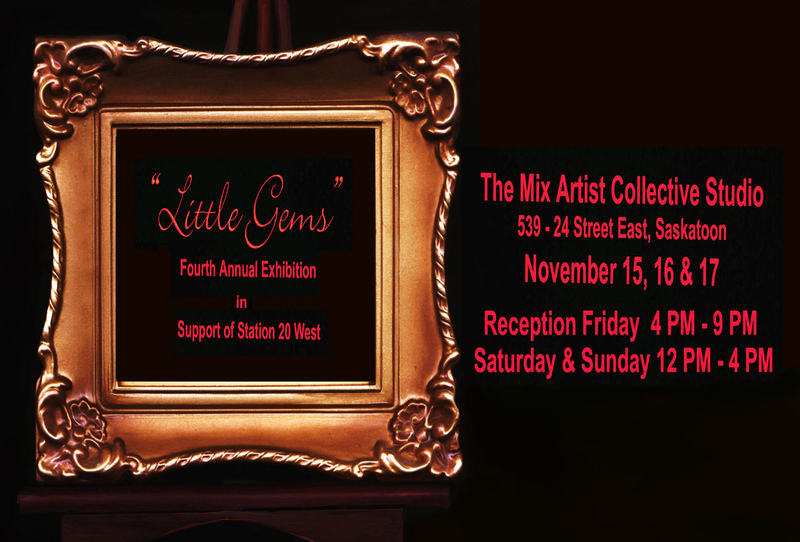 Little Gems Art Show and Sale – several members of the group participating, starting this Friday and continuing until Sunday afternoon. Small pieces of original art by local artists. 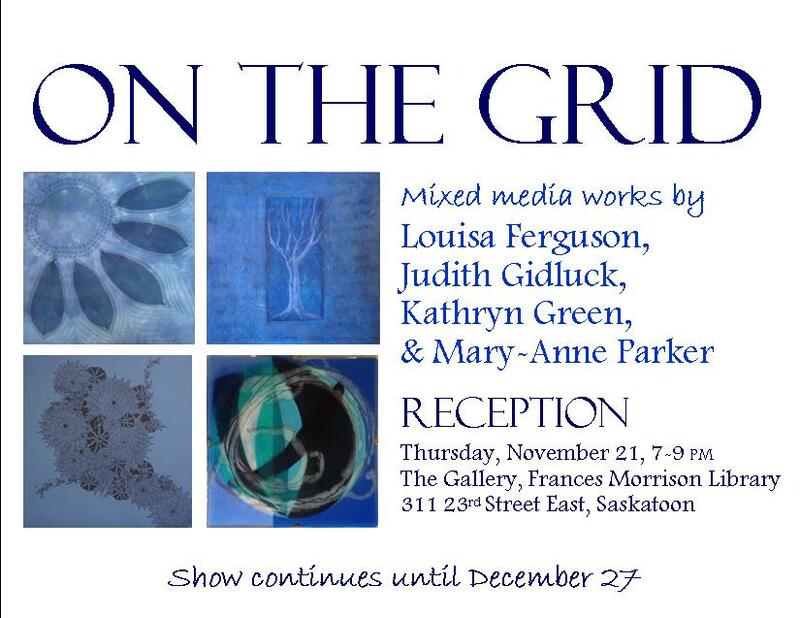 Kathryn Green – On the Grid, with three other local artists. Frances Morrison Library Gallery, opening reception Thursday, Nov. 21, 7 pm. Valerie Borycki, Karen Maguire, Gail Prpick and Sylvia Thompson – Off the Wall Art Show and Sale, at the Mix Artist Collective, 539 24th Street East, Saskatoon. Opening night Friday Nov 29, 7 – 10 pm, Saturday Nov 30, 10 am – 5 pm, and Sunday Dec 1, 12 – 4 pm. Kathleen Slavin will have some of her works in ‘Deck the Walls’, the Rouge Gallery Christmas show to which all gallery artists contribute pieces. Dec 10 to January 4th with an Opening Reception on Sat Dec 14th 2-5 p.m.